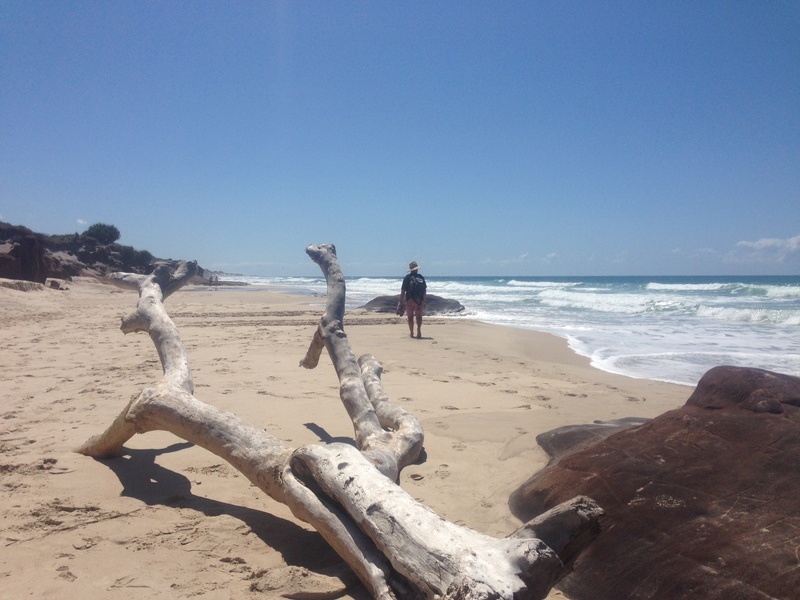 We went back to Black Rocks in Bundjalung National Park this weekend…I meant it when I said we love this place. This time we took our kayak and paddled up Jerusalem Creek. 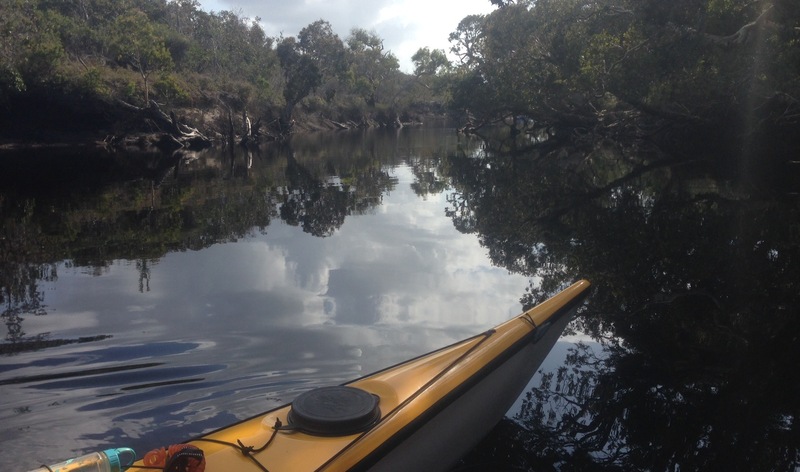 It was a gorgeous, although not exactly leisurely, paddle. While I practice my zen paddling technique upfront, EB makes like an outboard motor in the back. Somehow it works… well, having a rudder stops us turning circles at least. And I get to take photos along the way (with my trusty iPhone in its LifeProof case – and no, this isn’t some dodgy promo!). The isolation, where the creek meets the sea, is simply sensational. 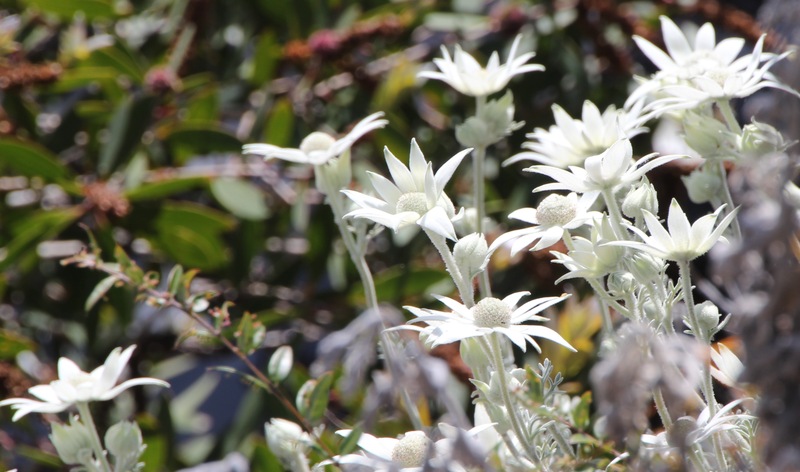 And then there are those endless walks along Ten Mile Beach… where paw prints reveal the nightly wanderings of wild dogs in search of shorebird eggs, and huge bluebottles – some with four-metre stingers – are strewn along the tideline. 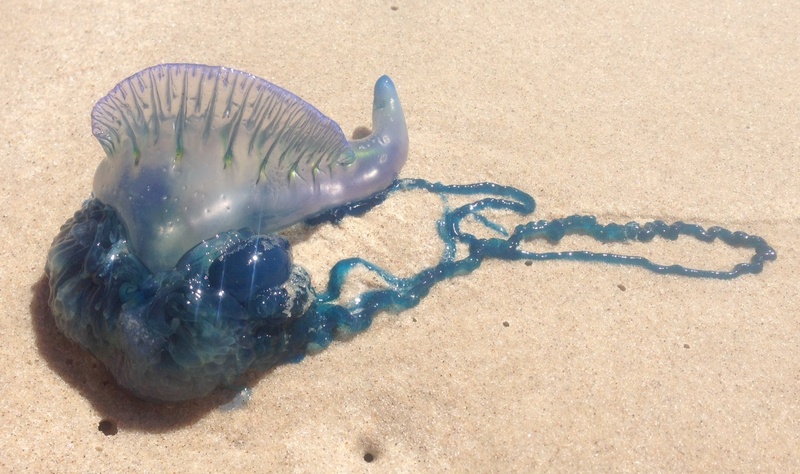 We weigh up the odds of getting stung, figure they’re all stranded on the beach, and plunge into the icy water. Luckily we escape unharmed, in time to spot a mother and baby whale making their way down the coastline along the whale ‘super highway’. Closer in, three dolphins glide in and out of the waves. 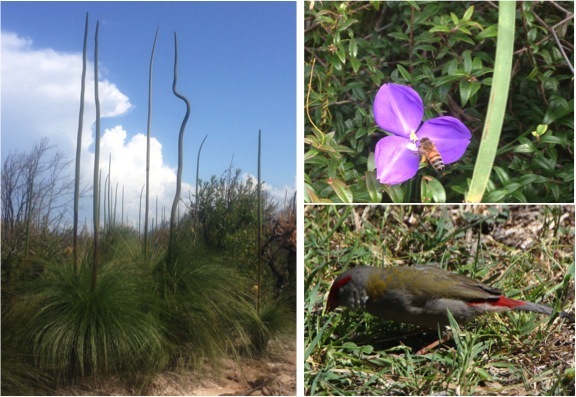 Later, along the walking tracks, wildflowers are bloomin’ fabulous, grass trees raise their flower spikes to the sky and a bee homes in on a solitary flower. 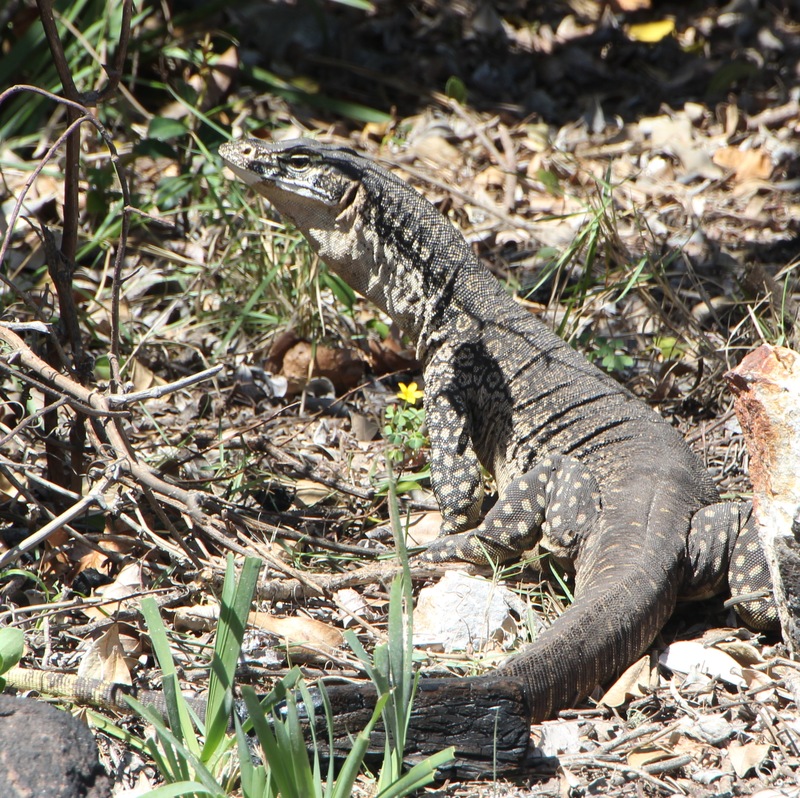 Back in our campground, tiny birds feast on grass seeds and a goanna wanders through our camp, tasting the air with a flick of its tongue. This entry was posted on Wednesday, October 1st, 2014 at 9:39 pm	and tagged with Beaches, birds, Black Rocks, Bundjalung National Park, goanna, Jerusalem Creek, kayaking, Life, marine life, photography, short breaks, travel, vacation and posted in Australia, kayaking, National Parks, Photography, short breaks, Travel, Uncategorized, Wellbeing, Wildlife. You can follow any responses to this entry through the RSS 2.0 feed.